Located in South Gloucestershire not far from the mouth of the River Severn, Thornbury is a market town around 12 miles north of Bristol. With a population of around 12,000, there’s a thriving property market in the area. At My Home Move Conveyancing we’ve been developing our knowledge of markets like this since 2001, allowing us to bring our clients in Thornbury an outstanding, specialist conveyancing service. When buying or selling property in Thornbury, you need to instruct property lawyers to complete the legal work for you. 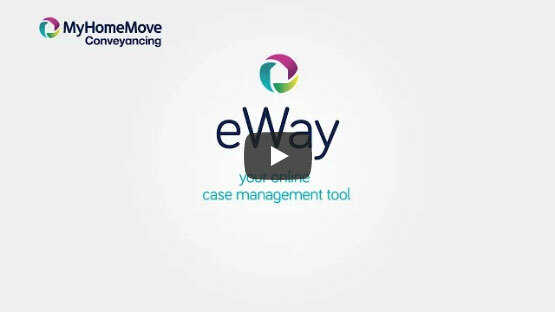 My Home Move Conveyancing offers our clients in Thornbury an award winning level of customer service, innovative use of technology and unrivalled experience. There are no hidden costs with our professional, friendly conveyancing service, which helps us to build trust with our clients. Choose us as your Thornbury conveyancers, and if you don’t end up completing, you won’t have to pay us a thing thanks to our ‘no completion – no fee’ policy. We’ll assign you a dedicated conveyancer who’ll take care of all aspects of your case from start to finish. You’ll enjoy a consistent point of contact who’s prepared to go the extra mile to help you, as well as regular progress updates and online access to your account. At My Home Move Conveyancing we work hard to get things right first time round, and are delighted provide our conveyancing services in Thornbury to help buy a variety of homes across the area, including in the town centre, by the Mundy Playing Fields and in Morton to the north of town. The average house price in South Gloucestershire is £257,543, while the overall average sale price in Thornbury during the last year was higher than this at £285,187. Semi-detached properties were involved in the most sales during this period, going for an average of £274,278. Terraces fetched £249,580 and detached houses sold for £390,503. Thornbury’s history stretches back to local human activity in the Neolithic and Bronze Ages, and includes the discovery of the Thornbury Hoard, a collection of over 11,000 Roman coins. Granted a town charter in 1252, Thornbury grew around the site of its cattle market, and is known for its Thornbury in Bloom flower competition. The town has plenty of modern amenities to take advantage of, including the St Mary’s shopping centre and a range of pubs and restaurants. Although there are no train stations in or around Thornbury, the town is conveniently located for the M4 and M5 motorways, as well as the M48 which crosses the Severn Bridge. There are local bus services which provide public transportation in the area, while Bristol Airport is just over 20 miles away from town, offering flights to domestic airports as well as European destinations such as Amsterdam, Palma de Mallorca, Malaga and Faro. There’s a decent choice of schools in the local area for families with children to take into consideration, including Christ the King Catholic Primary, Gillingstool Primary and Manorbrook Primary. The Castle School and Alveston’s Marlwood School are both local mixed secondary schools with sixth forms attached, while Sheiling School is an independent boarding and day school for children with special education needs, and New Siblands also provides education to pupils with a range of learning disabilities. All properties in Thornbury will fall within one of the following council tax bands.